Get ready for lots of pretend cooking with a Cook Set for kids! 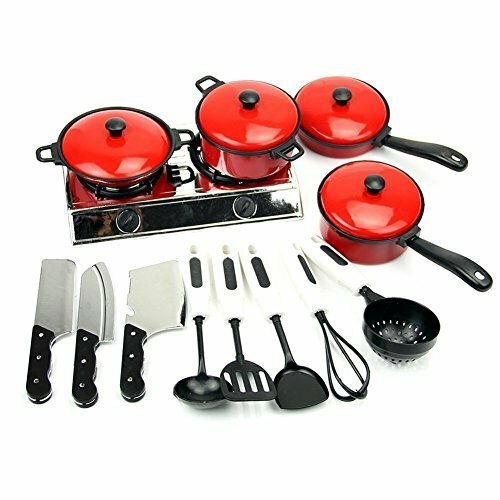 Cook Set for Kids is a great gift idea. 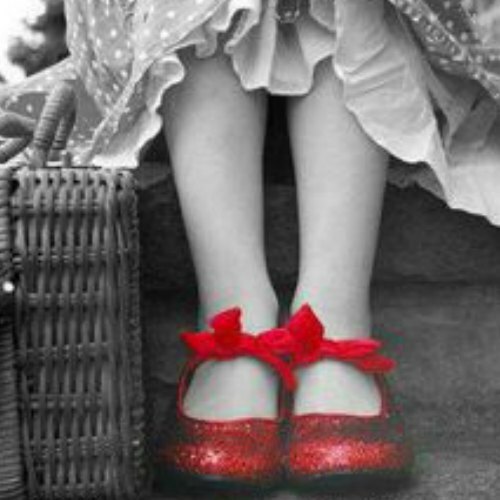 Every kids wants to be like Mom and will mimic what they do in real life. If you give them the right tools, they could be a budding chef in the making. They see mom has pots and pans, spoons, and all the lids and equipment to make great meals. Well, they need their own cook set for kids. 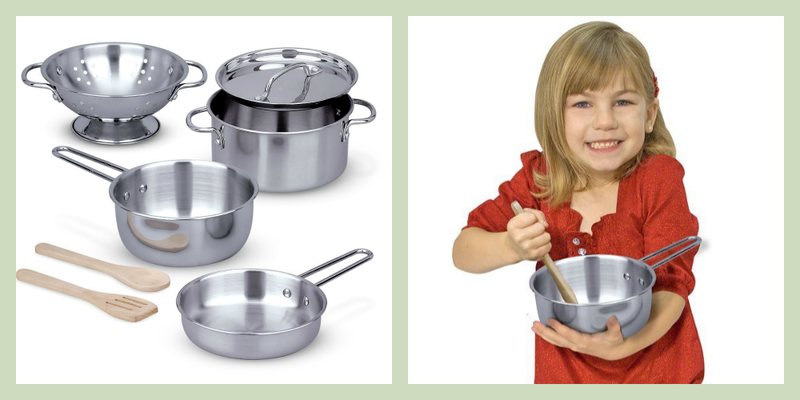 This pots and pans set for kids is not your typical pans for little tiny kids. These are made like real pots and pans, just like moms. So they can really pretend to be cooking and feel like they are using the same things mom. This set seems to be about 1 to 2 inches larger than most sets. The wooden spoons aren’t sharp like metal spoons would be, which makes it perfect for kids. Since it’s stainless steel, there are no toxins or chipping paint that you need to worry about. My grandsons love to play cooking. I taught their dad to cook and he is pretty good at it, so the boys don’t see cooking as the mom’s job. 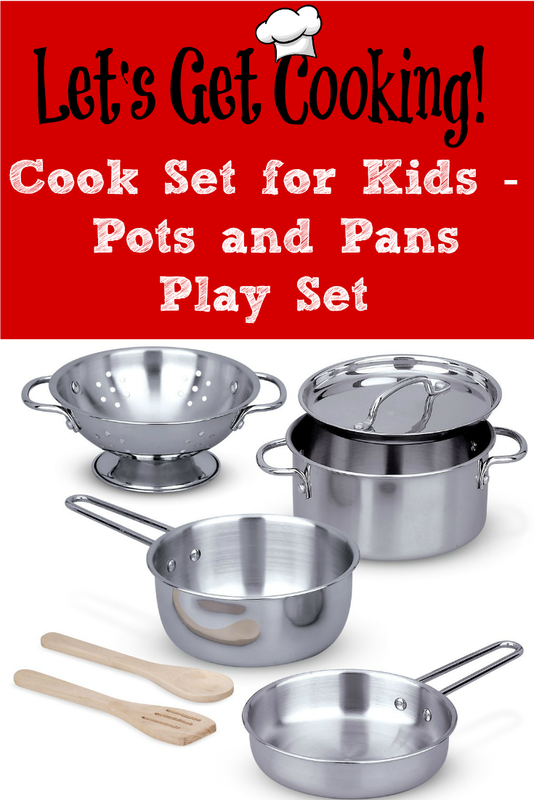 They will love these cook sets made just for kids. They will be delighted that the pans fit there hands. I can’t wait for them to see them. 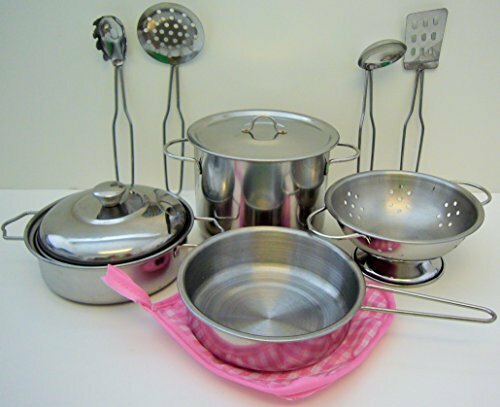 Pot with a lid Two Pans Colander Wooden utensils & Rack – Great cook set for kids! 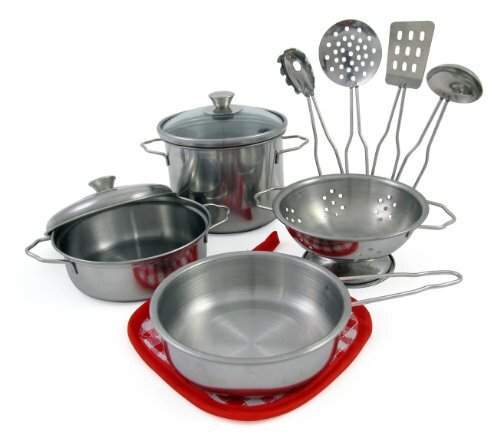 This set is great because it comes with the pot rack. Maybe it will encourage kids to keep their kitchen organized…..maybe. 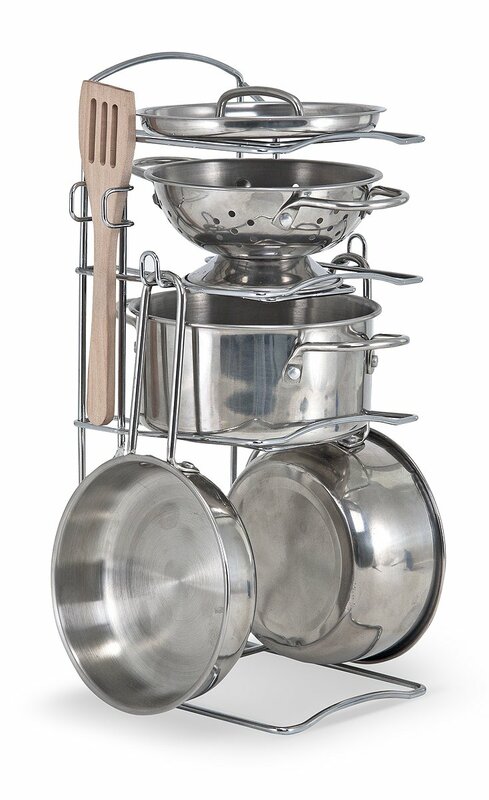 This kids pots pans playset are made of hand polished stainless steel and the handles are riveted for extra strength. They look real, but please don’t try to really cook with them. The metal is a lot thinner and it might end in a disaster. There were other cook sets for kids I liked as well. 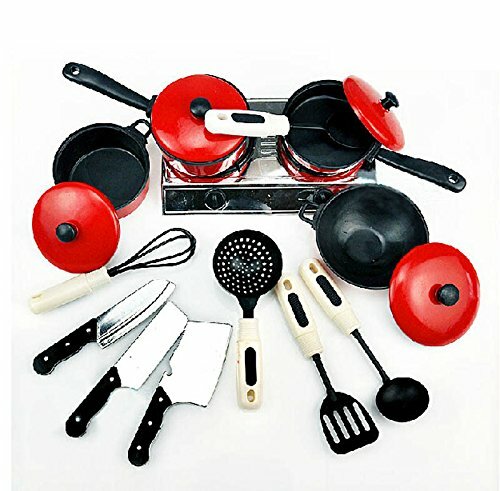 I really like the red pots and pans set for kids, then some of the others had other pieces. But my favorite is still the Melissa & Doug set above for the reasons I mentioned. With so many choices of cook set for kids, it might be hard to decide. 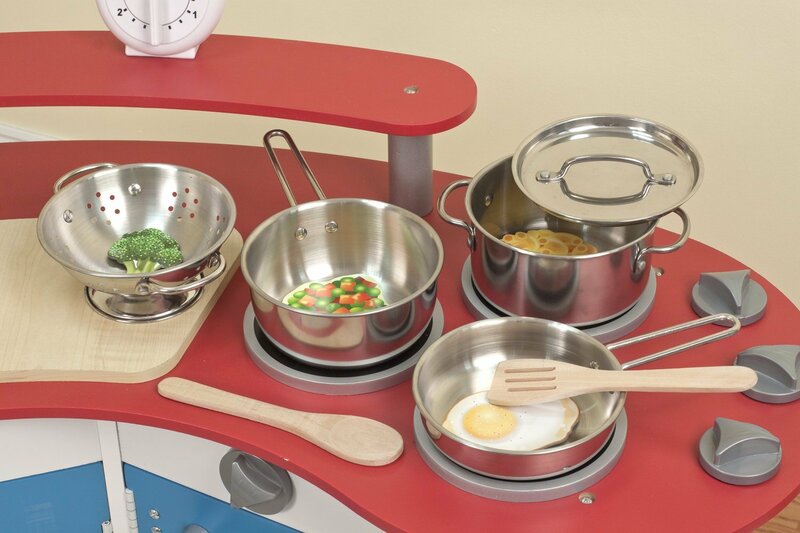 But don’t forget about the food you will need to cook in these beautiful pots and pans play set. 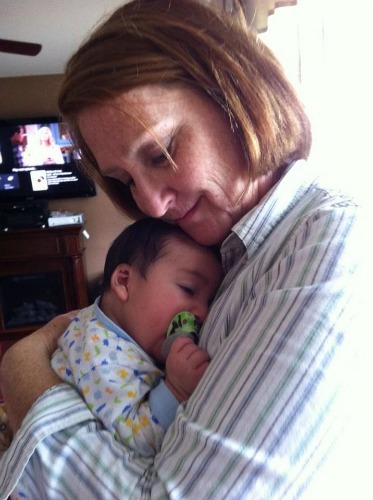 If your kids are like my grand kids, they will want to cook what mom cooks. Maybe some hamburgers and hot dogs, or maybe they like vegetables, that would be a good choice. Can goods are a great staple to have in the cupboard for when you are in a hurry. You can find food that really look real. These are so much fun.